Meet the ultimate solution for preserving your old photos. Photomyne is the fastest and easiest way to turn photographs into live digital records, and to share them with others. Download to see the magic of powerful scanning action, built with cutting edge AI technology. * Create a photo website - a beautiful shareable online gallery with your scanned photos! 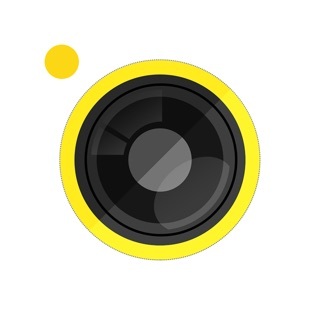 This paid app version offers the full utility power of Photomyne on one iOS device. You will need to subscribe to a Photomyne account (in-app subscription) to access your photos on other devices or online, and to enjoy supporting cloud services. **Payment will be charged to your iTunes account at confirmation of purchase. Your subscription will automatically renew itself, unless auto-renewal is turned off at least 24 hours before the end of the current period. Your account will be charged for renewal within 24 hours prior to the end of the current period. You can manage your subscriptions and turn off auto-renewal by going to your Account Settings in the iTunes Store. If offered, if you choose to use our free trial, any unused portion of the free trial period will be forfeited when you purchase a subscription to that publication, where applicable. Photomyne also offers a One-Time plan which is paid for by a one-time, upfront payment with unlimited access to all account features. It is valid for five years and supports up to 10,000 photos. Now over 11,000 old photos scanned since 2016! It started as a way to store all my parents old slides and photos so I didn’t have to store all of their albums. It escalated from there into my personal family photos as well as my husbands. This would never have been accomplished using my flatbed scanner. The ability to share all these images with out-of-town family members using the web feature is wonderful. And there is the option to identify each photo with pertinent info, if you so choose. The list of features goes on. Can’t say enough good things about this App. I would like to see features added. The option to alphabetize albums by TITLE would be a great help rather that just by date. When dealing with so many albums the ability to have different collections or groups , or albums within albums would be nice to separate families. Just the ability to custom arrange albums would be a helpful feature in keeping different family albums separated. I have close to 500 old photos that I've been meaning to scan and put in a photo album for my mom for this Christmas. My husband suggested I try one of those apps that will scan and enhance my photos so I stumbled upon this app, I even bought it because the video looked so awesome. On my phone the picture scanning deal became a breeze and I was amazed how great they look after automatically been fixed. It wasn't until upload the images to a photo book creating website and started creating the album when I noticed all the photos are very grainy and blurry. I work with photoshop and realized that this apps corrects the scanned photos by aggressively sharpening the image which resulted in grainy and in some cases pixelated images. They do not look good at all, in the real photos you can see detail, in the scanned version you lose detail and get that awkward grainy/blurry look. I guess that's what happens when I tried a shortcut. Thai app is only good if you want to save your old photos to upload to social media or your computer. Print quality is very low.